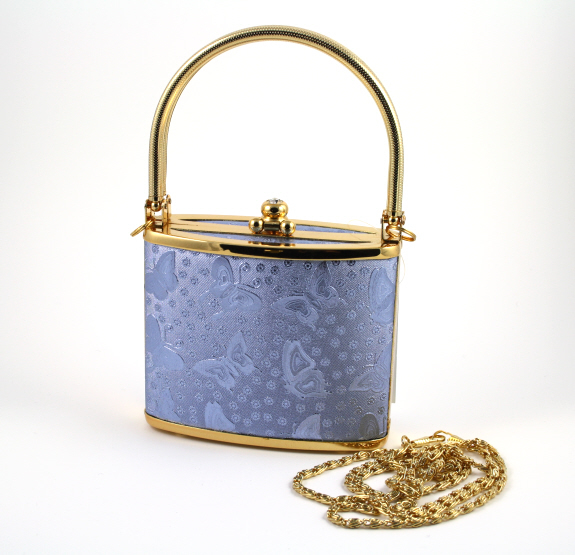 The bag comes with a chain which can also be attached for use as a shoulder strap. It's an ideal bag for both evening wear and special occasions. Approximate size 20cm x 13cm including handles. Great value! A denim handbag with a large pretty stitched butterfly motif in pinks and purples. Size of bag not including handle is approximately 25cm x 14cm. Inside, the handbag has a black lining and one internal zipped pocket. A soft ladies scarf in grey with silver butterfly magnetic clasp for easy fastening. Beautiful neckwear for any occasion.